I have been helping California Military and Civilian families realize the dream of homeownership since 1990. You can be confident that you will be working with an experienced mortgage professional who is focused on the timeline and the financial needs of the client and who is backed by a company founded it’s belief in integrity and above-and beyond customer service. The best lender in San Diego! Laura Borja exceeded our expectations as a real estate lender and her entire support team were wonderful. Laura's extensive home mortgage knowledge and skills, got us approved for our first VA home loan and ready to purchase!!! We will always recommend Laura to all of our family and friends. She is amazing! VERY HELPFUL... GOT ME MY FIRST HOME! Laura was instrumental in helping me and my family get our first home. Being a first time home buyer she made me feel at ease and was with us every step of the way. She is knowledgeable, very friendly and felt like she was going above and beyond to make sure I got the very best deal. I even went to a couple other lenders to see if can get a better offer but one couldn't qualify me and the other couldn't match Laura's offer. Laura, thank you from me and my family. Made us feel like we were her only client! Laura is awesome to work with. She made us feel as if we were her only client. She was available 24/7 to guide us through the process and answer any questions that we had as first time homebuyers. All of her projections came in UNDER BUDGET and she was working until the very end to get our interest rate and mortgage insurance as low as possible and ended up saving us about $150 a month in expected payments. We have a variety of home loan programs. From First Time Homebuyer to seasoned investors, we have the home loan financing solution to fit your needs. Whether you want to reduce your interest rate, shorten the term of your home loan or access the equity in your home, I can help you achieve that goal. Not sure if you can qualify for a loan? Best way to find out is to schedule a free loan consultation. We will discuss your credit, income, assets and goals for your new home. If needed, I will provide you with a game plan to get you ready to buy your next home. Want access to a variety of programs and resources to grow your real estate business? Then let’s connect so I can fill you in on what we have to offer. 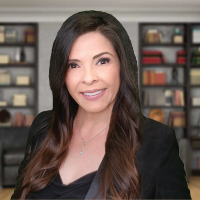 Whether it’s videos, a newsletter, loan guides or blog posts, I have a variety of resources available to educate and empower you through the process. I know that weekends are when most buyers are out shopping for homes. That is why I am available to you on weekends to help with preapproval letters, payment breakdowns and anything else you need to move forward with your purchase.